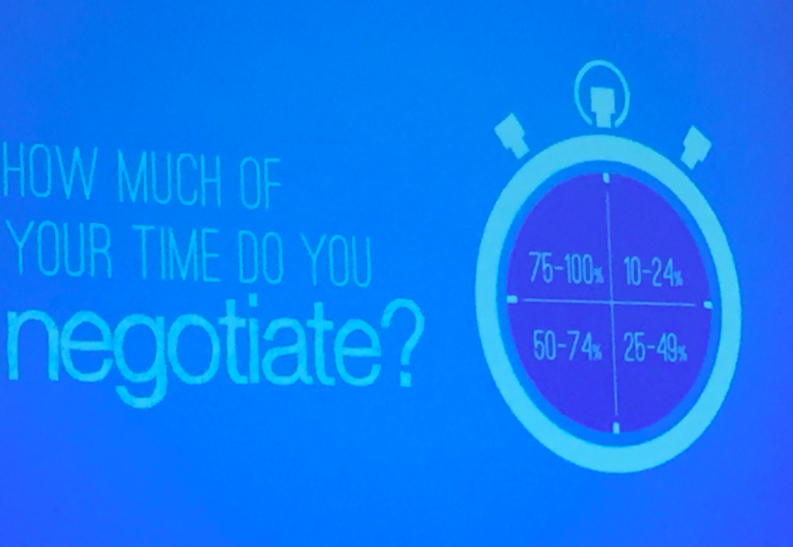 When William Ury, cofounder of Harvard’s Program on Negotiation and the author of eight books about negotiating including the classic Getting to Yes, asks his audience which is tougher—negotiating with external audiences or internal ones like colleagues or family members—the answer is resounding: internal conflicts. Speaking at the 2016 ALA Annual Conference and Exhibition in Orlando for the Library Leadership and Management Association (LLAMA) President’s Program, Ury has the advantage. He knows we know the enemy and the enemy is us. Which is why, perhaps, he wrote his most recent book, Getting to Yes with Yourself (and Other Worthy Opponents). And to do that, we need to begin with ourselves. “Gradually, over the years, I realized the most difficult person we have to deal with is the one in the mirror.” He suggested that everyone find a place of self-control—what he called “going to the balcony”—to relax, think, talk to a friend, and figure out what action will best advance his or her interests, and even decipher what those interests are. Listen to what the other side wants, then put yourself in your own shoes and respect your own needs in a negotiation. Lest the audience think that Ury hasn’t felt the heat in negotiations, he gave an example when the president of Venezuela chew him out for 30 minutes while many high-level officials watched. And this was after making Ury wait for hours just to meet with him. While he was tempted to defend himself, Ury “went to the balcony” and just listened, until the president could calm down. The next step is to determine what your best alternative to a negotiated settlement (BATNA) is, because knowing what your best alternative is makes it easier to reach an agreement. Make a commitment to take care of your needs independent of how the other side acts. In the example with Venezuela, he said, he suggested a cooling off period for both sides, and it was enthusiastically accepted. It was the start of getting the two sides to come to the table. At the Orlando meeting, Ury asked the group to stand, pair up, and try for two minutes to get their opponent on their side of an invisible line. The techniques used were interesting, ranging from deception, force, and even bribery. But some pairs just said, “Hey, you come on my side and I’ll come on yours.” Sometimes sufficient is enough for everyone, he said. Steve Jobs, he noted, had a very adversarial approach to life and was kicked out of Apple after a year. Jobs took time to meditate, walk, and “frame the universe differently” when he returned, eventually leading it to a very successful company. “For Apple to win, it doesn’t mean Microsoft has to lose,” Ury said. More than anything, Ury said, successful negotiating is about listening and not about talking. 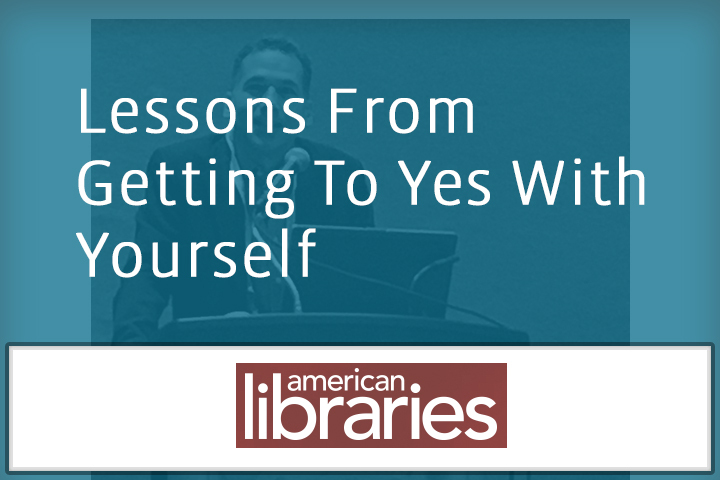 No Replies to "Lessons From Getting To Yes With Yourself"